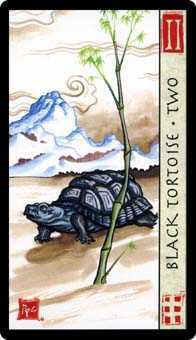 Assess your situation with patience and self-restraint. 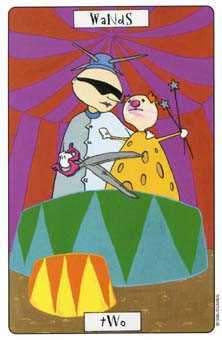 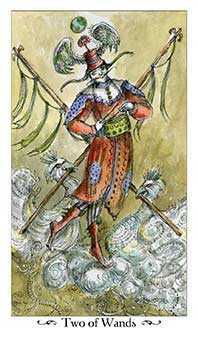 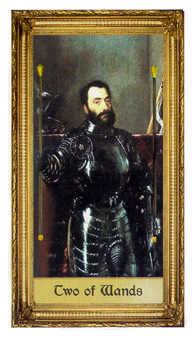 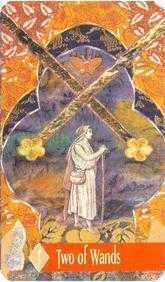 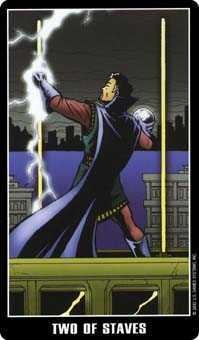 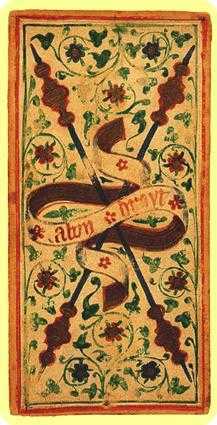 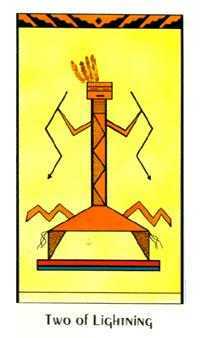 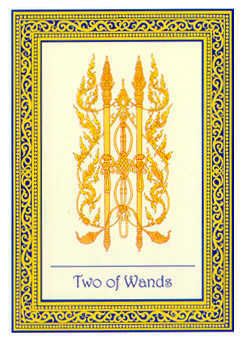 The Two in this suit, often portrayed as crossed wands, imply a deadlock due to energies working at cross-purposes. 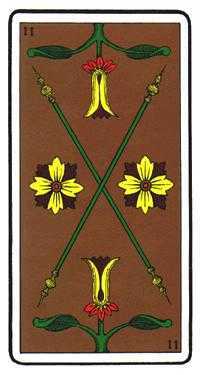 This could refer to an internal split -- perhaps a duel between optimistic and pessimistic parts of your psyche, for example -- or some situation where you feel "damned if you do, damned if you don't." 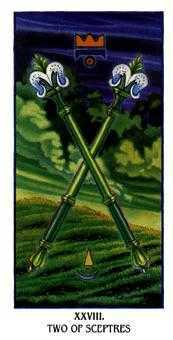 This could be a standoff with another person or rubbing up against limitations that are currently imposed upon you. 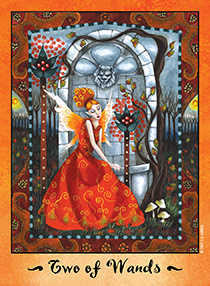 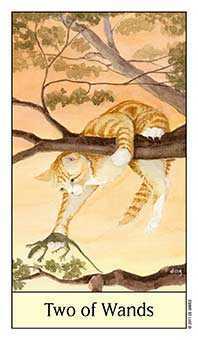 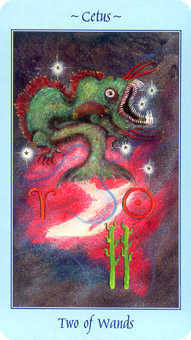 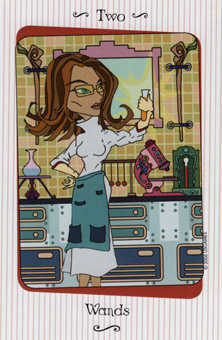 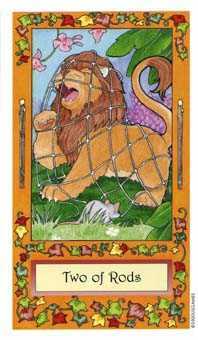 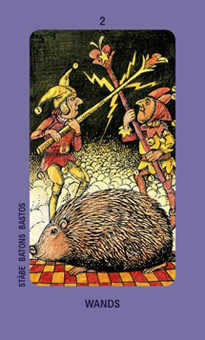 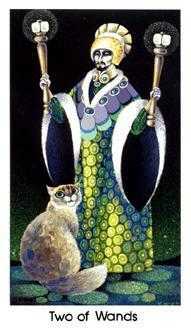 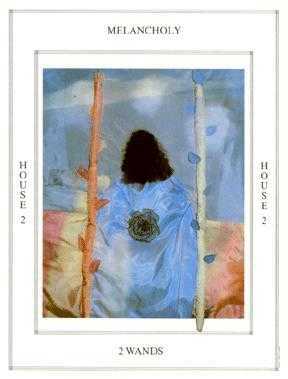 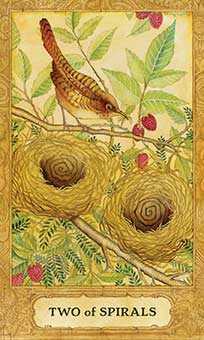 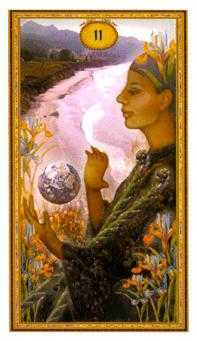 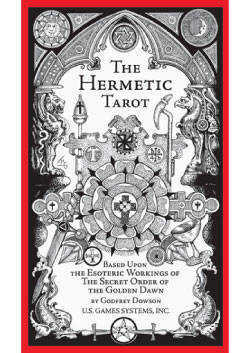 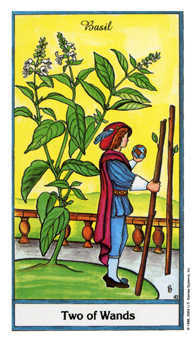 This card points to the possibility of creeping self-doubt -- the kind that arises in a situation where one has bitten off more than one can chew. 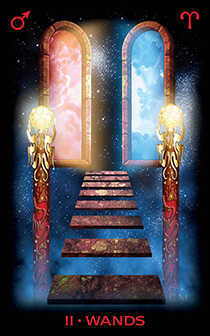 Give yourself a moment to take in the full implications of your situation. 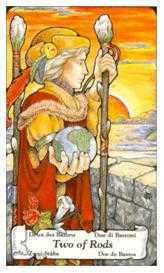 Find your bearings again before launching back into action. 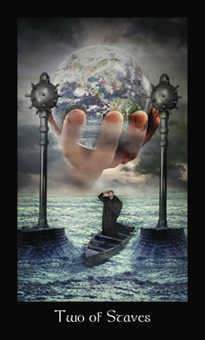 Deal with real concerns now -- before they become regrets! 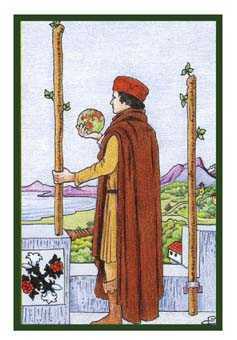 Be patient and observant as you go through the decision making process. 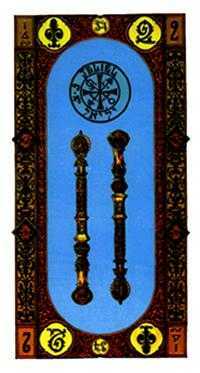 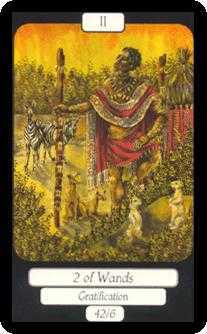 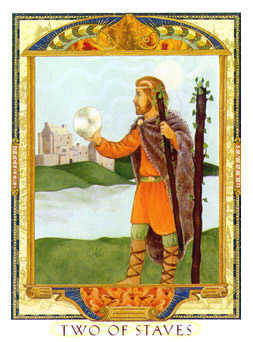 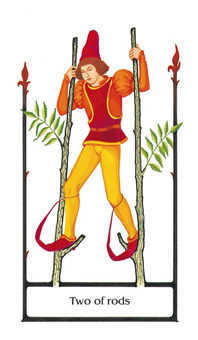 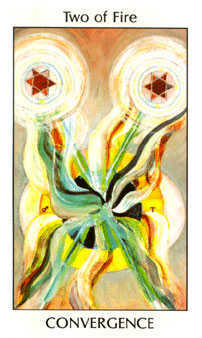 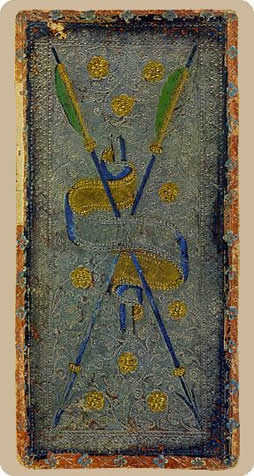 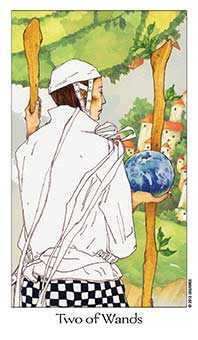 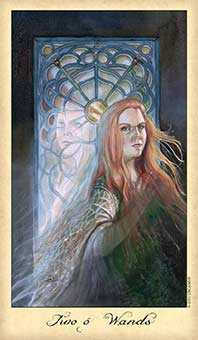 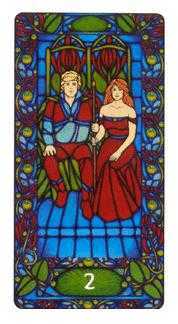 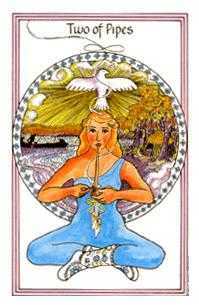 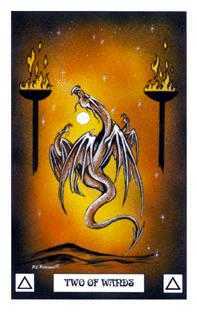 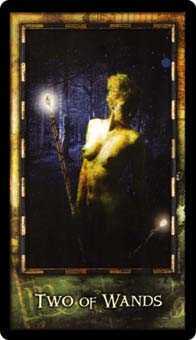 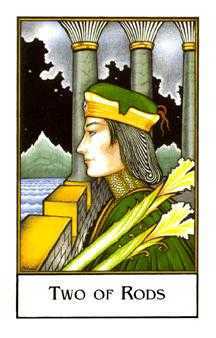 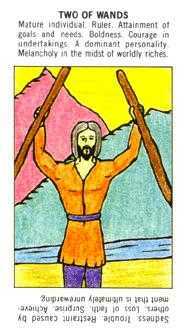 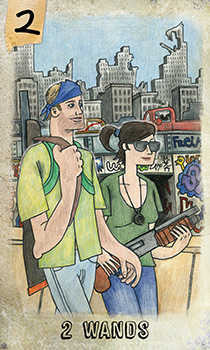 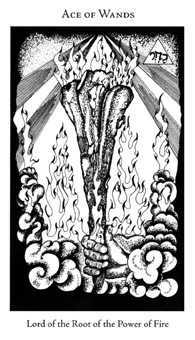 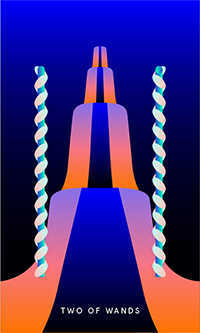 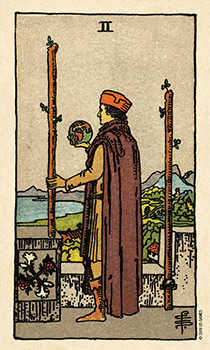 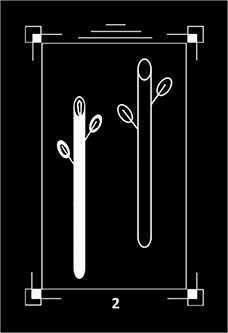 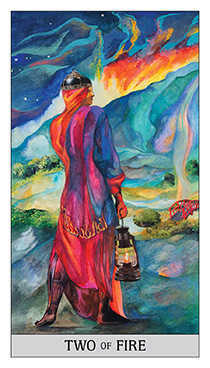 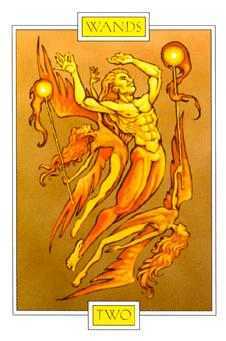 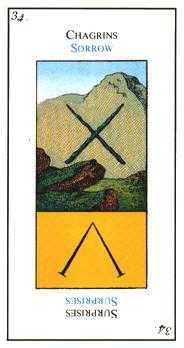 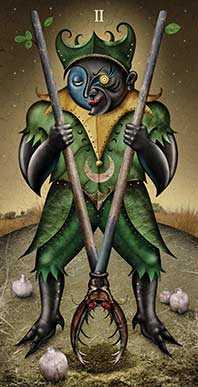 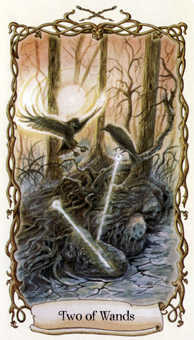 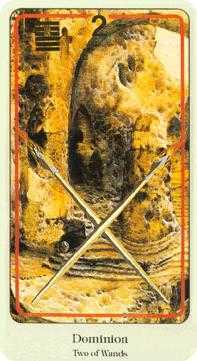 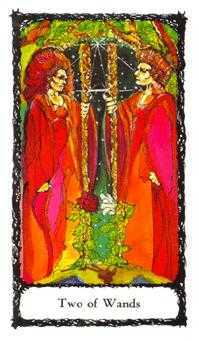 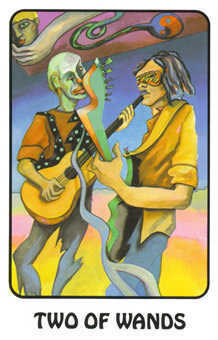 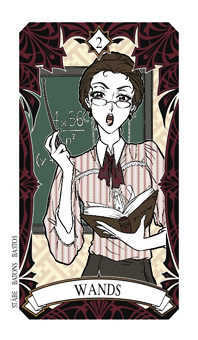 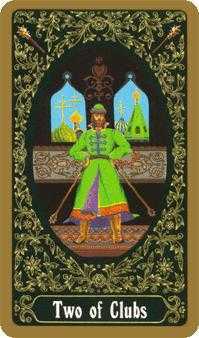 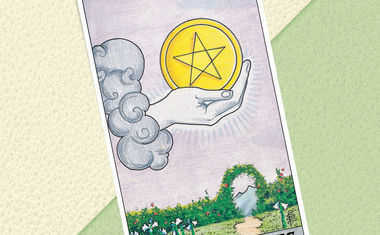 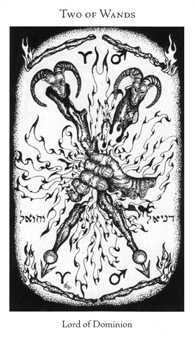 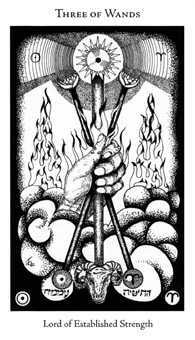 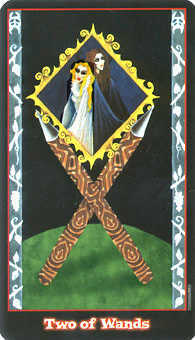 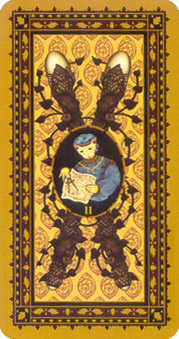 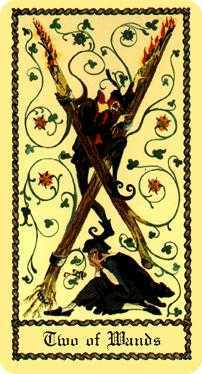 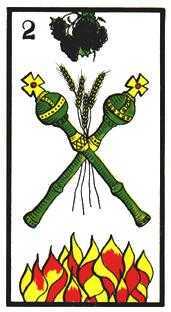 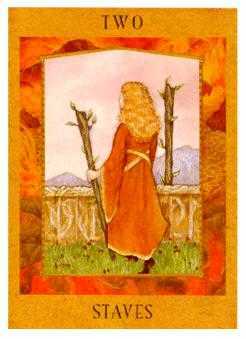 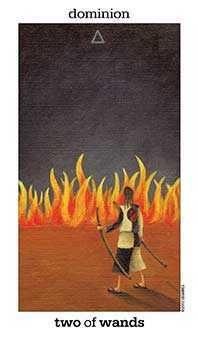 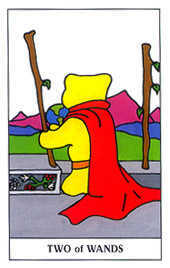 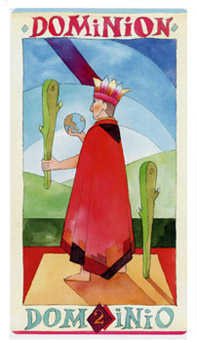 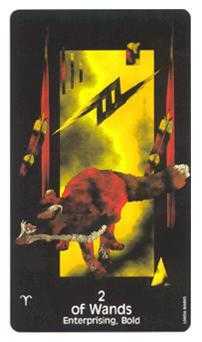 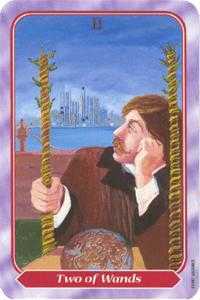 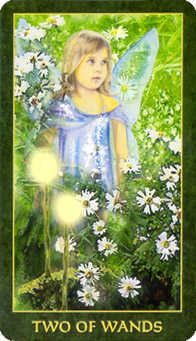 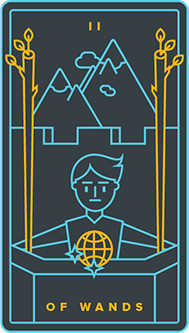 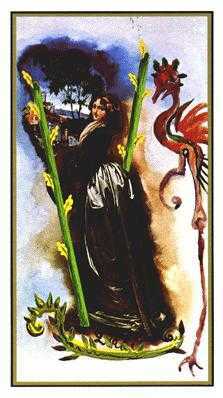 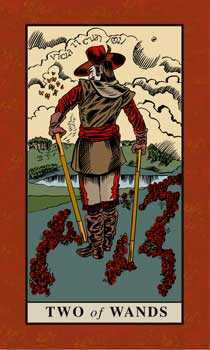 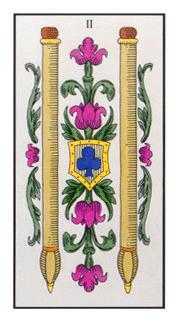 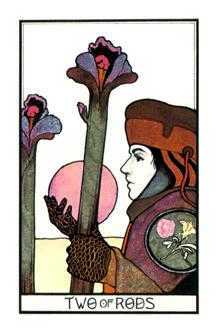 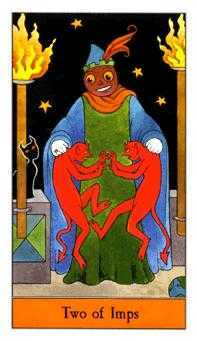 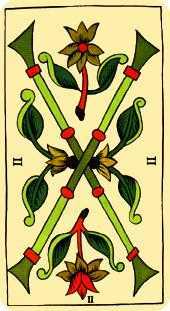 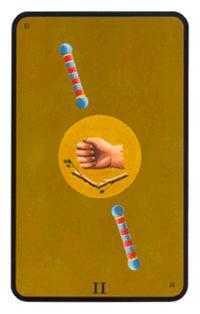 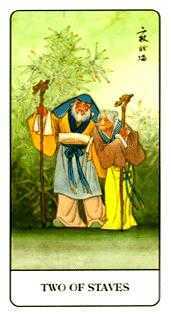 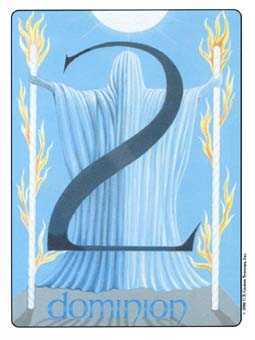 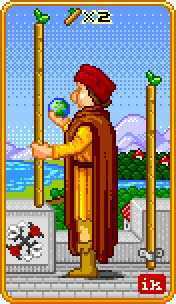 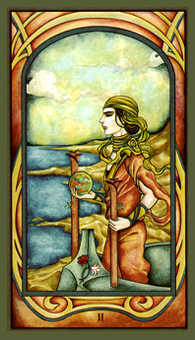 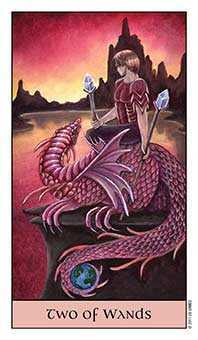 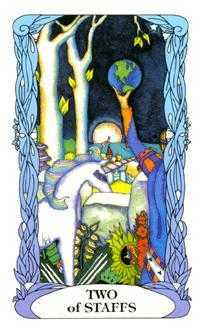 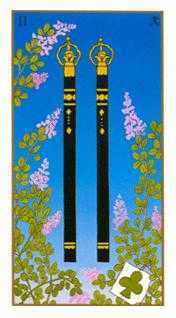 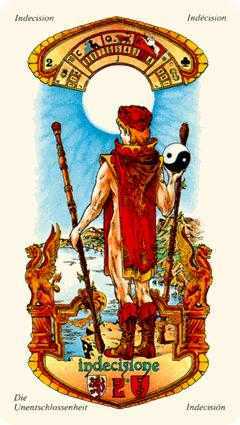 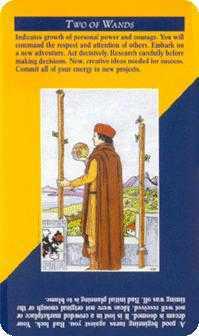 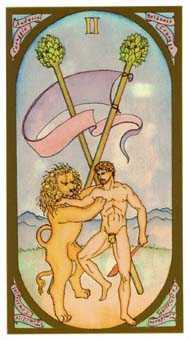 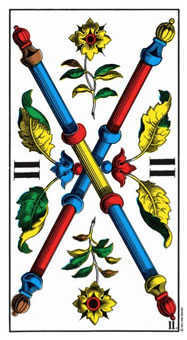 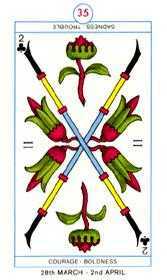 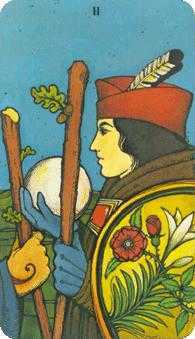 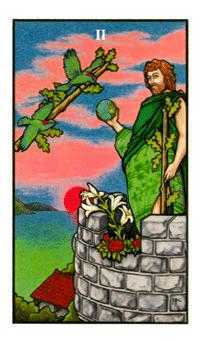 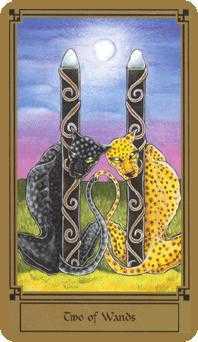 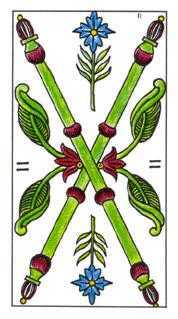 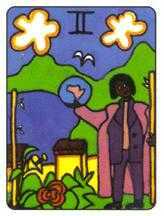 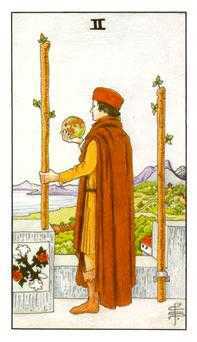 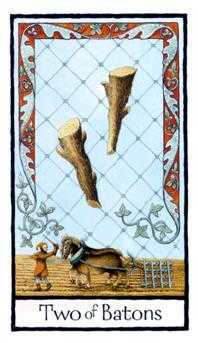 The Two of Wands in this position advises you to respect your own decision making process. 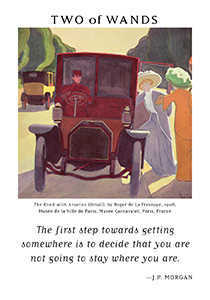 Instead of criticizing yourself for indecisiveness, appreciate the various implications of possible choices. 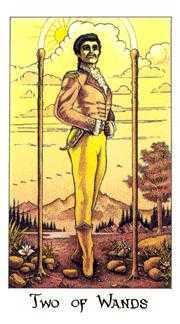 Avoid pushing yourself to make a commitment. 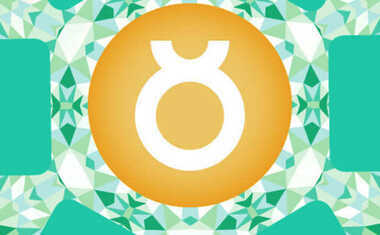 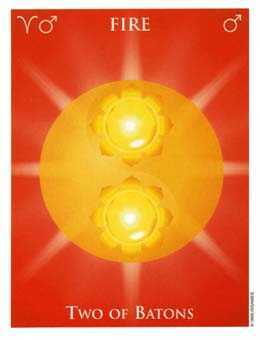 Keep meditating, watching the situation and witnessing the forces at work. 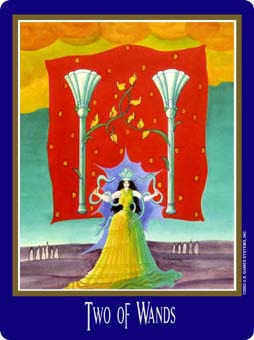 At some point you will have enough information to see clearly. 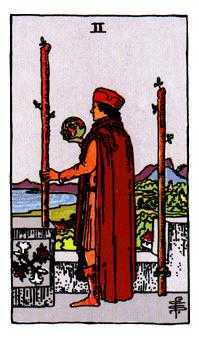 The decision-making process will be over and the choice will be clear.